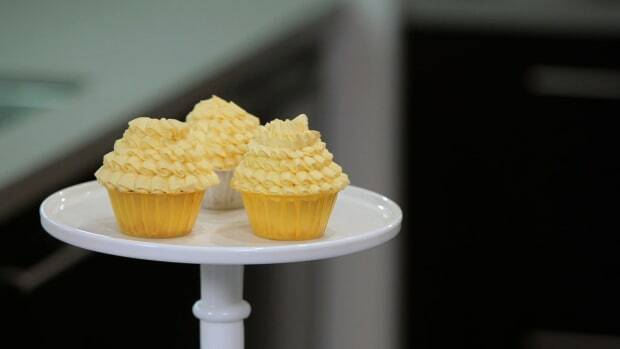 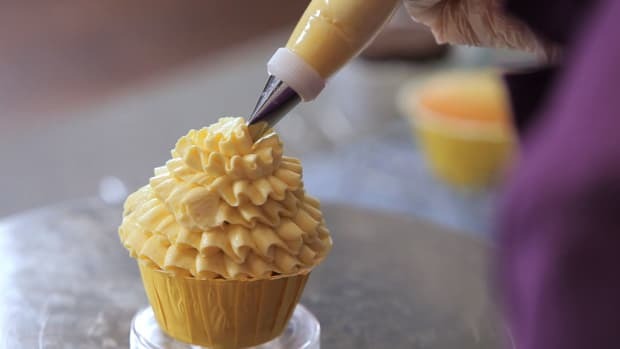 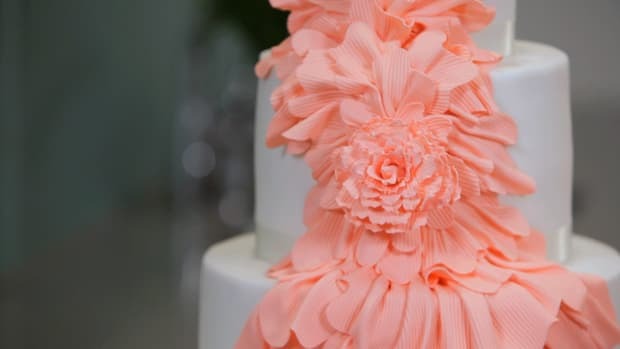 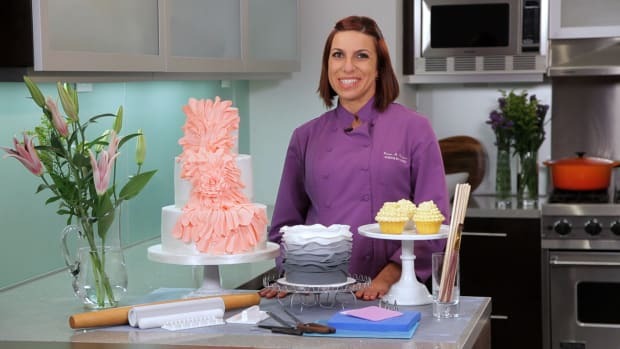 Time to crumb coat your cake, buttercream it, cover it with fondant, and stack it, all of which Karen shows you how to do with the precision that separates amateurs from artists. 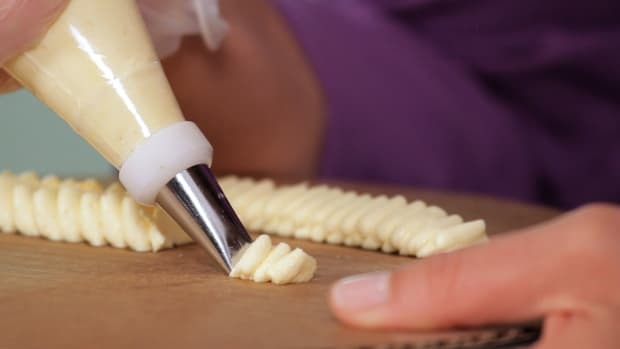 Pick up tons of tips, tricks, and fixes along the way. 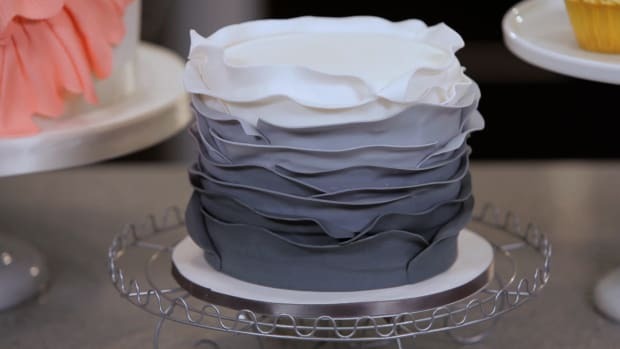 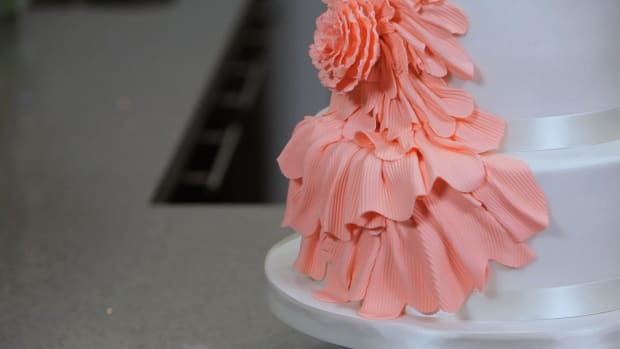 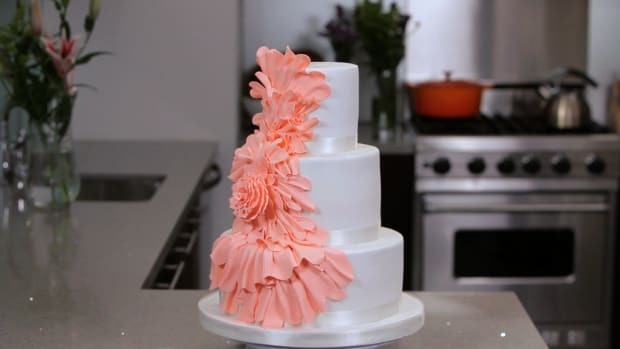 Speaking of tips, people have told Karen she should trademark this trick: She's going to show you how to take your leftover bits and pieces of fondant and turn them into a flawless cake board cover.